Cleveland Nursing and Rehabilitation, LLC v. Estate of Annie Mae Gully, a case from the Mississippi Supreme Court, weighs whether a nursing home breached its duty of care to an elderly patient who died after complications form a fall. Plaintiff who was a resident at a nursing and rehabilitation home run by the defendant. While she was living at the nursing facility, she fell and broke her hip. As a result of this slip-and-fall accident, she underwent a surgical repair of her hip, but there were serious complications from the injury and her surgery, and she died less than a week after the accident. Her family filed a lawsuit against the nursing home in which they alleged wrongful death as a result of defendant’s gross negligence. 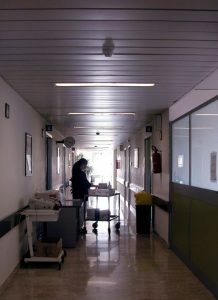 Specifically, plaintiff alleged that defendant was liable for her death because they failed to assess and monitor the plaintiff’s condition, failed to develop an appropriate care plan, failed to implement an appropriate care plan, failed to prevent her from falling, and failed to provide her with proper care while she was walking. All of these grounds were attested to in a required medical expert report. As our Boston personal injury attorneys can explain, if you are claiming that a defendant failed to adhere to a specialized standard of care as a grounds for liability, you will often be required to submit various reports from relevant expert witnesses, as much of the subject is said to be beyond the scope of knowledge of a layperson on a jury. There are specific requirements that must met that you can discuss during your initial consultation. In this case, plaintiff claimed that defendant failed to adhere to the standard of care of a nursing home home anywhere in the nation when dealing with the same or similar situation. In this case, it was an older patient who had difficulty getting around, and then a patient who had broken her hip. In this case, after hearing testimony, the jury returned a verdict in favor of the plaintiff, and the defendant appealed. The main basis for appealing was that the jury was allowed to hear opinions from expert witnesses who were not disclosed to defendant in a timely manner. This is an important issue because our legal system is designed in a way that disfavors surprises at trial. While the movies and television like to portray lawyers and clients being ambushed with new information at trial, in a real world civil trial, judges do whatever they can to make sure there are no unfair surprises at trial. One of the ways to accomplish this is through the use of mandated expert witness disclosures. In this case, the court of appeals affirmed the trial judge’s decision to allow the undisclosed expert reports to be heard at trial, but on appeal to the state supreme court, that court determined that it was improper to allow the jury to hear this new evidence. As a result of this finding, the state supreme court ordered that the verdict be reversed and the case be remanded for a new trial.